Mixology has certainly become a buzzword in the food & hospitality industry, an art form that takes drink slinging to the next level. But what would an event be without a little competition? Miami neighborhoods will be looped together in teams (Downtown/Brickell/South Beach; Wynwood/Midtown/Design District; and Coral Gables/South Miami/Coconut Grove), and participating venues, which you can view here, will each be shaking up their $6 signature craft cocktail infused with the common denominator: Tanteo Tequila. 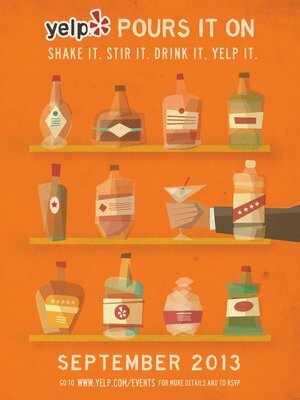 A Yelp Pours It On tip? Make sure to check in to receive your discounted $6 drink. The battle begins on September 4th at Biscayne Tavern. For all the details, check out the full article here.